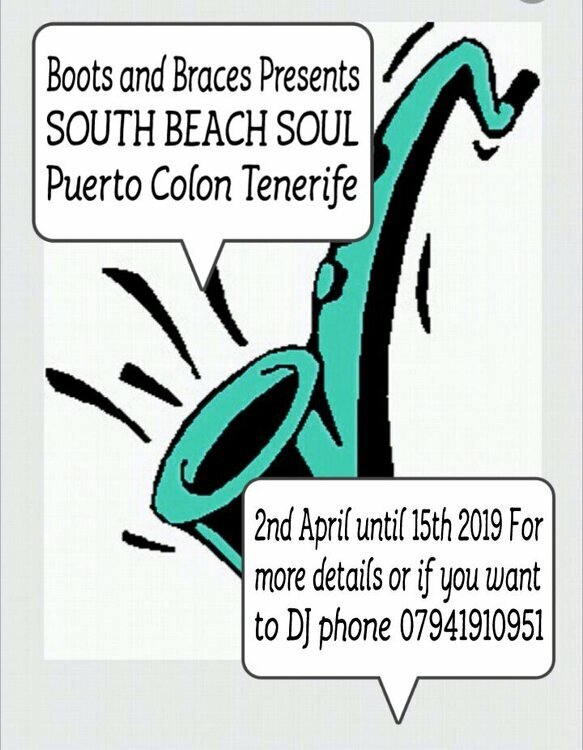 Boots and Braces announce the spring music event at South Beach Soul in Puerto Colon Tenerife from 2nd to the 15th of April . Due to the success of the All-dayers in November and December more to be confirmed at this event. We will rely on our fantastic DJ's to keep you 'rocking and reeling' in the sunshine by the beach and looking across the bay. Reasonably priced bar with free entry. All welcome.